Fresh & Hip. Modern & Chic. We are excited to introduce A Street Prints, a vibrant new way to decorate. The collections are influenced by the most a-la-moment décor trends from around the world, from eclectic global prints to bohemian compositions, and contemporary geometrics. 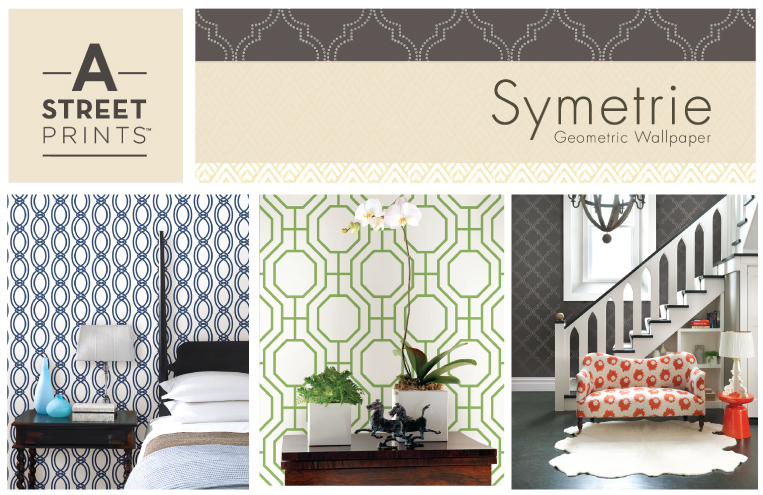 The wallpapers speak to today’s most coveted and trendy looks. This new brand will be available exclusively through Brewster Home Fashions. 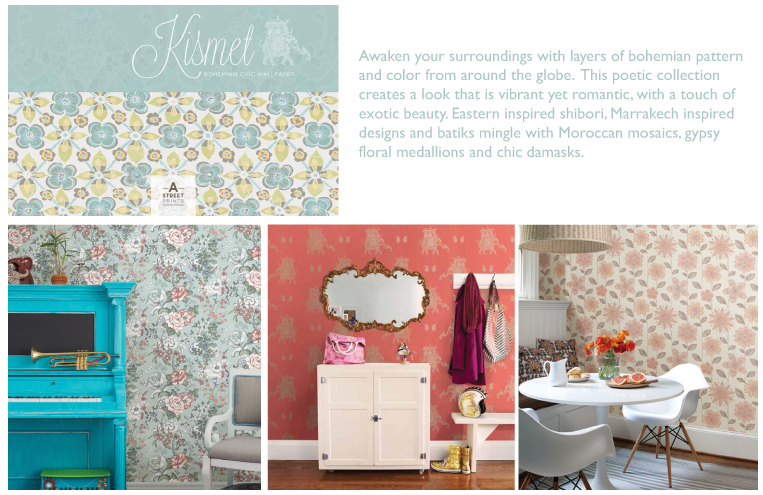 Enjoy this sneak-peek below of Kismet and Symetrie, the first two collections to drop from this cutting-edge new brand.